Home BOLLYWOOD Hot Scoop! 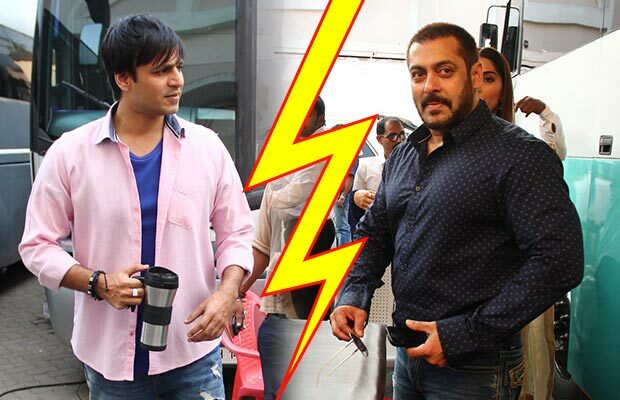 Salman Khan Ignores Vivek Oberoi Yet Again! Bollywood superstar Salman Khan is a man who forgives and forgets, but sometimes the rivalry is extreme intense that the cold war continues. Shah Rukh Khan and Salman Khan have forgotten their old war and are seen praising each other, but the war and bitterness between Salman and Vivek Oberoi continues still. 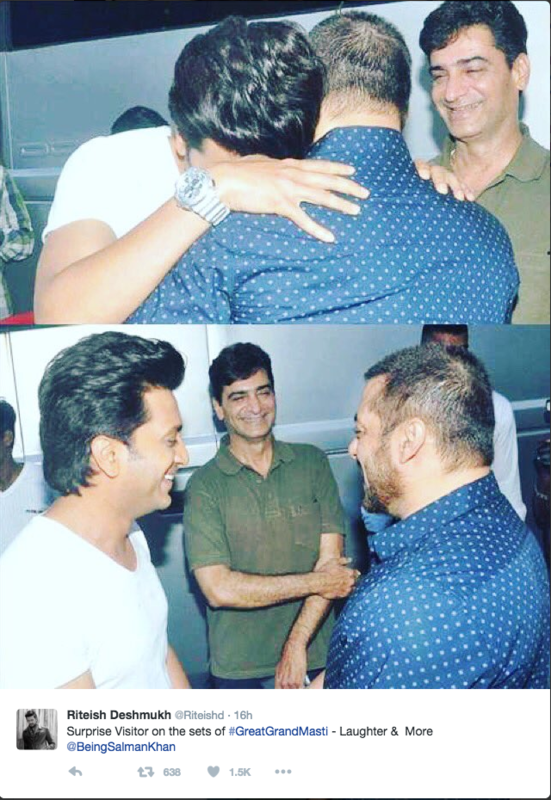 Recently, Salman had organized a press conference of his film ‘Prem Ratan Dhan Payo’ at Mehboob studio in Mumbai. During the same time Vivek Oberoi, Urvashi Rautela, Riteish Deshmukh and Aftab Shivdashani along with director Indra Kumar were shooting for their comedy flick Great Grand Masti. According to the reports, post press con, Salman met director Indra Kumar, who took him to the vanity van where all the lead actors of Great Grand Masti including actor Vivek Oberoi were present. Reportedly, as Salman walked in, he saw Vivek sitting in the van and immediately he exited from there. Later, Riteish and other team members went out to meet Salman Khan, while Vivek stayed back in the van only. The stars were seen clicking pictures with the ‘Bajrangi Bhaijaan’ star outside the vanity van. Salman once again avoided Vivek and it seems he is in no mood to ‘forget’ and forgive’ the past. It seems Salman Khan is in no mood to patch up with Vivek Oberoi since their war started in 2002 when Vivek had organized a press conference at his residence against Salman Khan where he had said that Salman had threatened him while he was dating Aishwarya Rai Bachchan. Well, it’s been decades and still the bitterness and the anger for Vivek is there. Many a times Vivek had tried to move on and had apologized to Salman Khan publicly, but Salman avoided it every time. Previous articleNo Shave November: Salman Khan, Aamir Khan, Shah Rukh Khan And Many More!